Budget-friendly and ready to make your day easier, our 1-Bowl Super Simple Chickpea Salad is a dreamy kind of dish. 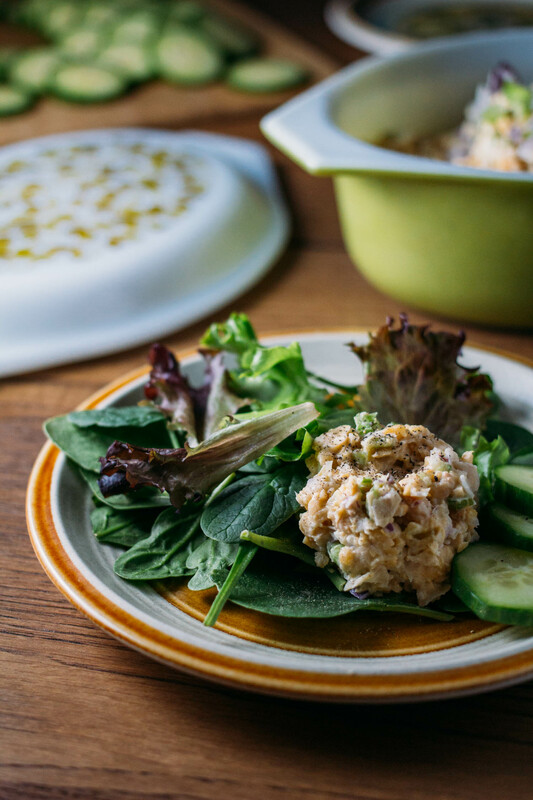 It’s creamy, tangy, stuffable, spreadable, and dare I say, spectacular! 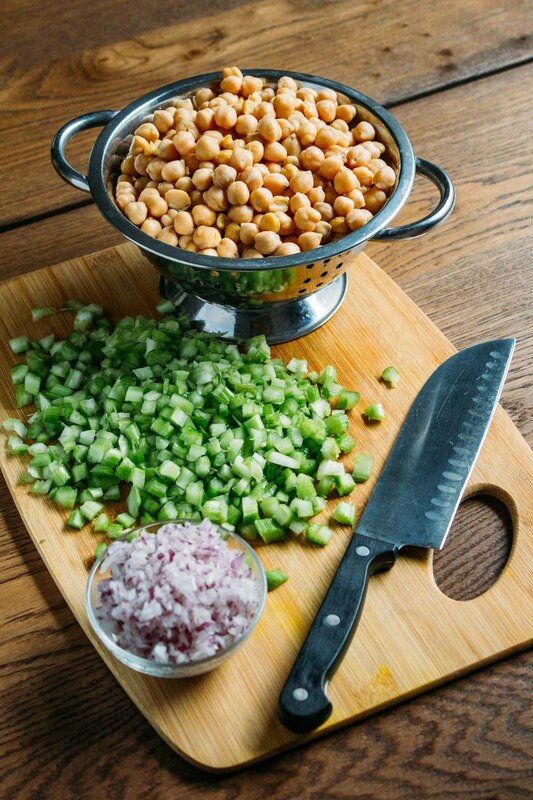 Easy to prepare recipes like this 1-Bowl Super Simple Chickpea Salad are lifesavers. Not to be dramatic or anything! When I began following a plant-based diet, I was intimidated by the new way of thinking about food. And recipes that kept things simple made all the difference. During those early days of navigating the path towards a plant-based lifestyle, I was more than just a little bit scared! I was afraid I wouldn’t be able to come up with foods my family and I would like to eat. And for some odd reason, I imagined us eating only salad for the rest of our lives. That thought terrified me! Finally, the thought of not being able to hit the drive-through for a quick dinner on days when I felt too tired to cook was utterly terrifying! As much as I enjoy cooking, even a flavor goddess foodie like me needs a break! Fortunately, love came along, in the form of a library book, and gently led me where I needed to go! Mainstreet Vegan, a book written by Victoria Moran, opened my heart to the decision to love myself through the change I was navigating. Thankfully, Mainstreet Vegan didn’t attempt to push the idea of veganism or any other “ism” on me. It also didn’t make me feel bad for not being born knowing everything I needed to know about wellness. Most importantly, Mainstreet Vegan didn’t shame me for my cheese “cravings” – though in my case my case those particular cravings would be better described as an addiction! My daughter, Sydney, created this recipe. And after years of me tweaking this 1-Bowl Super Simple Chickpea Salad every time I took my turn at making it, her simple version, by far, is the tastiest we’ve experienced! Got chickpeas? Then you have the kitchen chops to make this salad. Never prepared or opened a can of chickpeas in your life? You can still make this salad. Trying to eat plant-based on a tight budget? 1-Bowl Super Simple Chickpea Salad is a penny-pinching dream come true! 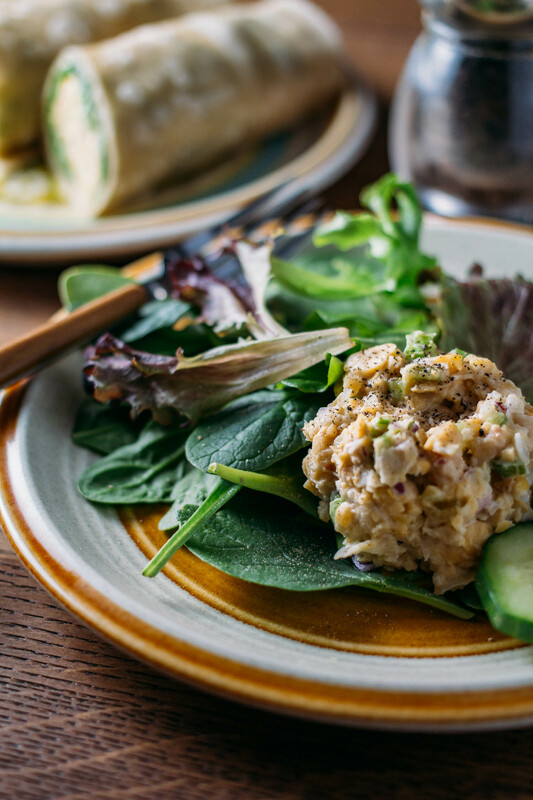 Dressed with familiar favorites like fresh chopped celery, onion, relish, creamy mayo and seasoned with a divinely unique specialty salt, this salad may remind you a little bit of egg salad or a tuna salad since the ingredients are similar. You can opt to use plain coconut yogurt rather than mayo and keep this recipe oil free! 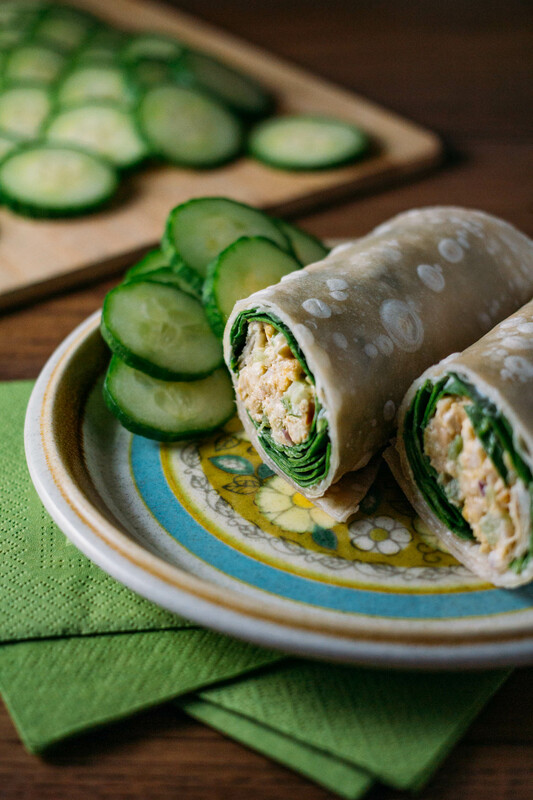 This salad works perfectly rolled inside wraps, spread onto crackers or rice cakes. 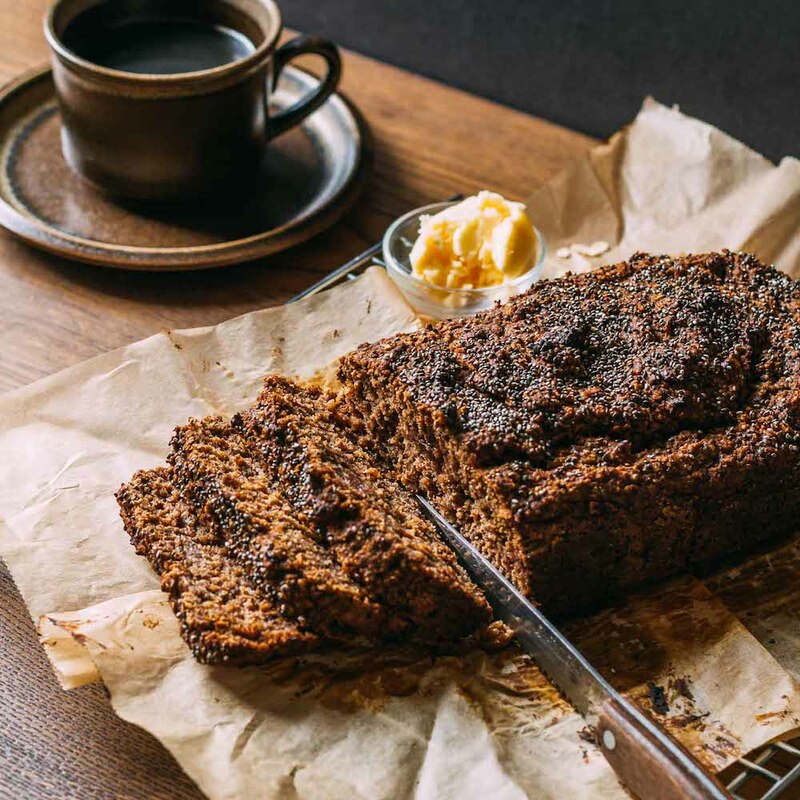 I especially enjoy it spread between two slices of freshly baked homemade buckwheat bread. My homemade buckwheat bread recipe will post soon along with a whole bunch of other gluten-free bread recipes I’m testing – stay tuned! Our favorite thing ever is when there’s leftover 1-Bowl Super Simple Chickpea Salad to stash in the fridge for a few days to enjoy an economical, fast & tasty lunch. We also enjoy eating this salad entirely on its own or over a bed of mixed greens. 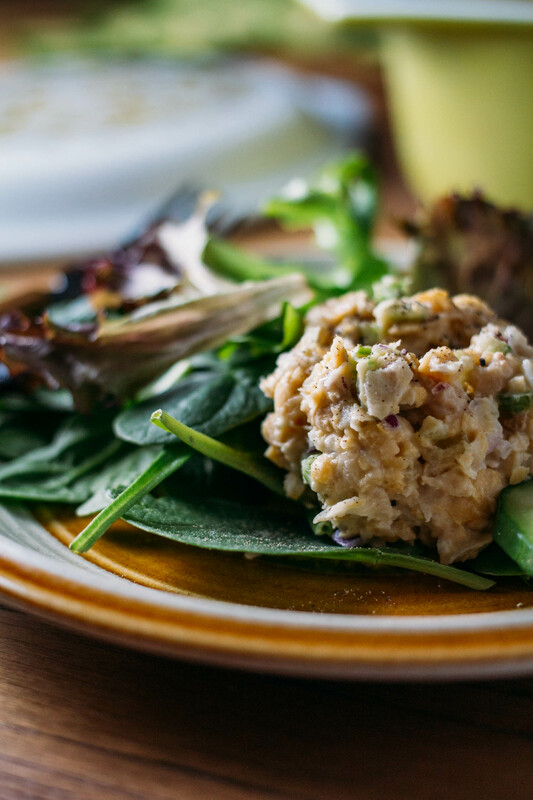 Protein-packed and ready to make your day, our 1-Bowl Super Simple Chickpea Salad is an easy dish that meets your hunger while delighting your tastebuds! 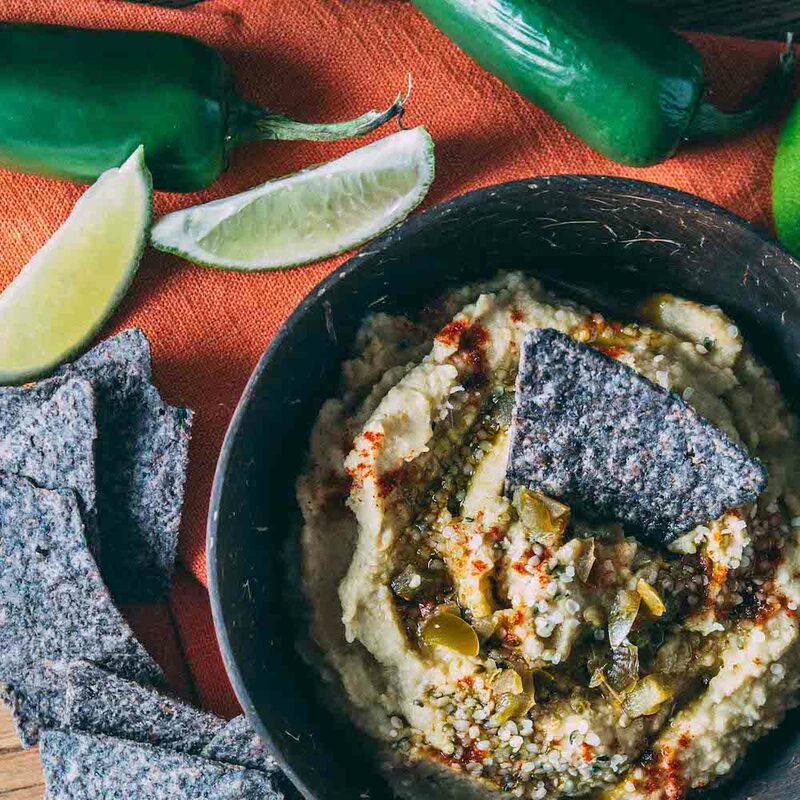 Since everything mixes in 1-bowl and there’s no cooking required, it’s a perfect go-to for a hot summer day or during those busy times when there are not enough hours in the day. 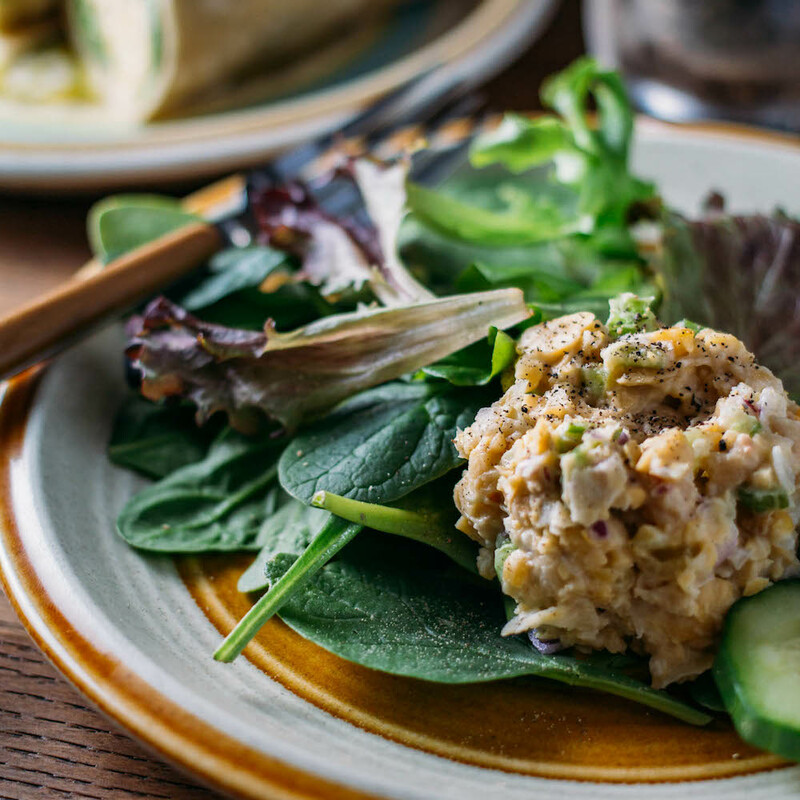 By the way, if you would like to bring the calorie and fat count way down on this wonderfully simple salad, try making it using my new Raw Oil-Free Cashew Mayonnaise recipe! 5 tbsp of my Raw Oil-Free Cashew Mayonnaise or another plant-based mayonnaise Using our raw mayo in this recipe makes this delicious 1-bowl salad, refined oil-free! 1/4 tsp or so of finely ground Indian Black Salt, Kala Namak, optional, but genuinely delicious! In a large bowl, mash the chickpeas with a potato masher until flaked in texture or use a food processor on the pulse setting as not to over chop. Stir in the celery, onions, relish, and mayonnaise until combined. If you are following an oil-free diet, omit the vegan mayonnaise and use a plant-based plain yogurt and adjust seasonings accordingly. Now, stir in the Kala Namuk, if using, and season with sea salt and freshly ground black pepper to taste. Serve with toasted bread, on crackers, wraps, or on top of a leafy green salad and enjoy these delightfully simple flavors! Kala Namak also called Himalayan Black Salt, or Indian Black Salt can be recognized easily by its very distinctive smell. Sulfur compounds cause the salt to smell like hard-boiled or rotten eggs. And oddly enough, that's a good thing! Stay with me. In my experience, the salt has only a slight odor in the jar or package. The scent can come off as alarmingly bold at first but then nearly disappears. The finished dish does not smell like rotten eggs at all, whew, but does offer a tasty hint of egg-like flavor. Begin by adding just a tiny pinch of Kala Namak at a time and season to your liking. And if you do not have Indian Black Salt, Kala Namak, no worries as your salad will still taste fantastic! Just use a dash of regular sea salt, instead. If you like a serious bite of sweet with your savory flavors, boost up the relish quantity a bit. If you don't have relish, use a chopped pickle or even a few diced pickled beets! Red or green onion adds an extra dash of pretty color, but yellow onion works just as well, flavor-wise. A lovely little squeeze of lemon juice is an excellent brightening touch if your salad tastes like it needs just a bit more kick. Belonging to a group lovingly referred to as “longevity legumes” chickpeas have been used in traditional medicine to treat high blood pressure and diabetes. Including chickpeas in your diet may reduce the risk of the type of prediabetes known as metabolic syndrome. Chickpeas are anti-inflammatory and contain an abundance of non-heme iron—the safest form of iron. Visit NutritionFacts.org to read more in-depth information regarding the nutritional benefits of chickpeas and other legumes. The nutritional count below included using the mentioned brand of store-bought vegan mayo. If you opt to make and use this oil-free mayo, the nutritional content of this easy dish gets even better! There is no mention in the recipe as to the amt of the minced garlic, smt of sweet bell pepper, amt of parsley. Please send me those amts. that you use. I will be making this on Friday evening for a Saturday morning brunch. Hi, Jennifer. Thank you for your helpful comment. I’ve edited the recipe so that the ingredients are accurately conveyed in the instruction portion of the recipe. I had originally written the recipe to included garlic, sweet pepper, and parsley and later removed those ingredients to keep things simple. Apparently, my two versions collided when I finalized this post. While Chickpea Salad certainly tastes wonderful with garlic, sweet peppers and parsley, those ingredients are not intended to be a part of this simplified recipe. Thanks, again. LoVes this recipe too … this was my first from your blog postings. 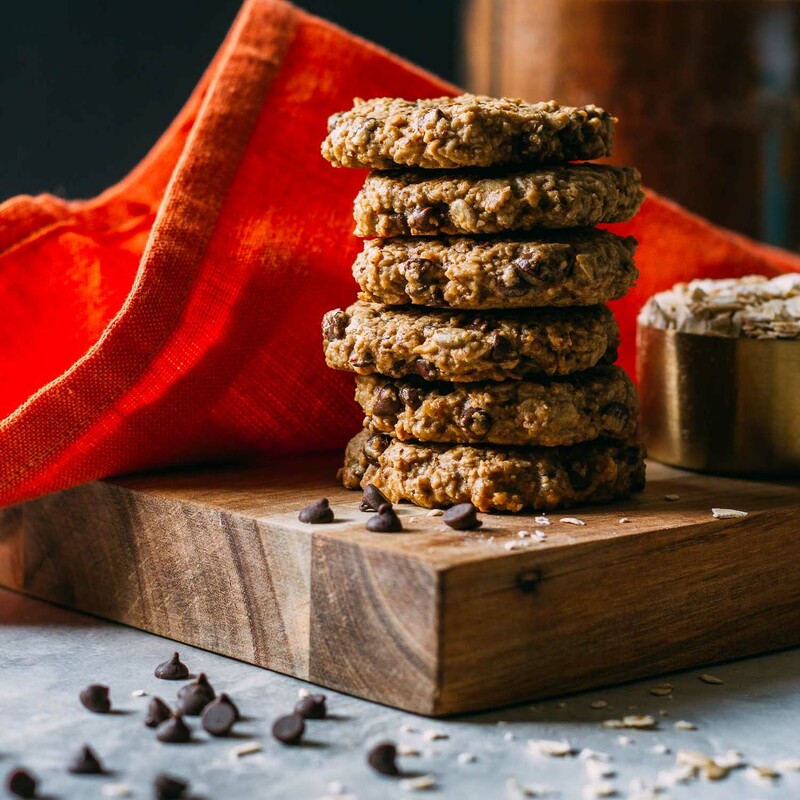 Appreciate the simplicity of ingredients, and suggestions about where to purchase special ingredients for the recipes. I’ve purchased the special sulfur smelling black salt and LOVE it (suppose I’m weird like that). I bought the RAW cashews you suggested also. Keep UP the good work dear!! So glad the simplicity of the recipe resonates with you, Winky. And thanks for trying out some of the suggested items from the ingredients list. Oh, and I’m with you on the black salt… love that stuff! You’ll have to try the Fakin’ Bacon recipe sometime, the way that flavor comes together is super easy and practically no mess! So good to hear that you enjoyed the recipe, Mary. And thank you for your kind feedback and for your helpful suggestion, too. You’re correct about watching salt levels, always, and that is why we mention adding the black salt as an option and then the final seasoning step of salt and pepper, to taste.